Skeptics in Tehran who initially did not believe in Europe’s ability to withstand the sanctioning pressure of the “big Satan” of the United States and who doubted Tehran’s need to adhere to this comprehensive deal with Washington’s withdrawal from the Joint Comprehensive Action of Plan (JCPOA) on Iran’s nuclear program. Tehran will never agree to the preconditions laid down in the INSTEX financial transaction mechanism (Instrument of Support for Trade Exchanges). This was announced on the eve of the head of the Iranian judicial branch, Ayatollah Sadek Amoli Larijani. “After nine months of delays and negotiations, the Europeans created a mechanism with limited capabilities not for money exchange, but for the supply of food and medicine,” said the ayatollah. He stressed that INSTEX, the launch of which was announced with enthusiasm in Europe on January 31, is “an inferior mechanism” that is “incapable of providing financial transactions”. He pointed out two related “strange conditions”: the requirement of Iran’s mandatory accession to the intergovernmental organization for combating money laundering (FATF) and Tehran’s accession to negotiations on its missile program. Ayatollah called these reservations humiliating, stressing that Iran "would not accept these conditions under any circumstances." This position has become a logical consequence of the statement made on January 31 without delay on the same topic by the Deputy Minister of Foreign Affairs of Iran, Abbas Aragchi. According to him, “the main task of the mechanism is to launch mutual settlements with Europe,” and this financial channel should affect “all Iranian-European exports and imports, and due to this, bilateral cooperation will work”. As we can see, none of this is foreseen. The interbank mechanism created by Europeans is actually designed only to finance “humanitarian” purchases of drugs and food and can in no way contribute to the economic development of Iran, while limiting its political sovereignty. Thus, the Iranian conservatives and the “hawks” were right: Europeans' dreams of sovereignty in the face of dictates on the part of the United States and real sovereignty are completely different things. Actually, it was already clear on January 31 that the Europeans would not have anything serious with Tehran. 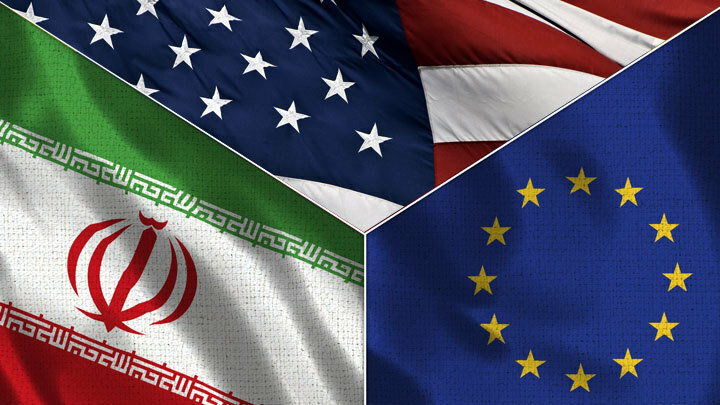 A special settlement mechanism with Iran was not created at the EU level, but as some kind of pathetic private company registered in France, which could not have any opportunity to protect more or less large European companies from exterritorial sanctions by the United States who decided to continue to cooperate with Iran. INSTEX will be able to start work only after creating a similar company in Iran, and after it changes its legislation in accordance with the recommendations of FATF, it will settle other technical and legal aspects with Europeans. It is clear that such proposals are made with only one purpose - to be rejected. After all, the Iranians are a proud people, not ready to capitulate to the West for stews and medicine, which European politicians are well aware of. Therefore, the statement of January 31 by the foreign ministers of France, Germany and Britain that INSTEX would ensure international trade with Iran, bypassing US sanctions, and that, according to French Foreign Minister Jean-Yves Le Drian, they are “ready to maintain open trade channels with this country as long as Iran complies with the provisions of the FACU, ”is the height of hypocrisy. This is an attempt to tie Iran’s hands, without at the same time undertaking virtually no obligations other than the delivery of “humanitarian aid”. And this scam Le Drian called "the only possible way to guarantee global security." Hypocrisy is simply overwhelming, because, in his opinion, the stillborn INSTEX supposedly could allow European companies to continue legal trade with Iran. And at the same time it is a “serious political gesture”, which “aims to protect European interests”. It is quite funny that even this imitation of a European revolt against the dictatorship of Washington provoked a rebuke by US Treasury Secretary Stephen Mnuchin, who promised to take aggressive measures against INSTEX. The US Plenipotentiary to the EU Gordon Sundland was more honest, regarding this mechanism as ineffective. It is also curious that in order to counteract the accusations of cowardice on the part of Tehran, the Europeans simultaneously began to accuse Iran ... of planning and committing terrorist acts in Europe, imposing new sanctions and catching Iranian "spies". In contrast to China and Russia, which are interested in developing trade and economic cooperation with Iran, the EU countries have shown to the whole world, and that they are still oriented towards the USA, that Europe hasn’t had any political will to challenge the real challenge to Washington. Large European companies, put by the Donald Trump administration before choosing whether they prefer the American or Iranian market, quickly obeyed the dictates of the United States, turned off or curtailed their activities in Iran. Because they earn dozens, hundreds of times more in America than in Iran, and their own governments can never compensate them for possible financial losses. All the big words in Brussels about the inadmissibility of extraterritorial American laws and banning European companies from doing business with Iran turned out to be empty. Under these conditions, Iran’s motives for abiding by the terms of the nuclear deal are lost. When Tehran leaves it, it will have no reason to restrain itself in the region, except for financial one. This means that the threat of a large Middle Eastern war involving Iran, Saudi Arabia, Israel and the United States, which can naturally be dragged into Russia, is increasing dramatically.